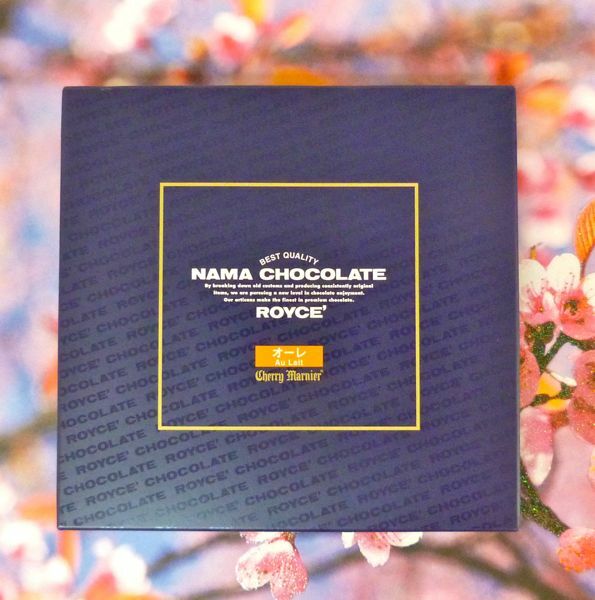 Thank you to Elise and Kerry for sharing some of this Royce' Chocolate (Japan) Nama Chocolate Au Lait gift box, from an overseas (Singapore) colleague, with me. 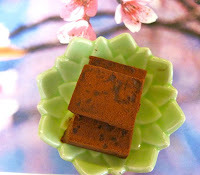 These soft chocolate pieces, with a slight dusting of cocoa and flavored with just the right touch of Cherry Marnier (liqueur), were good served slightly chilled. 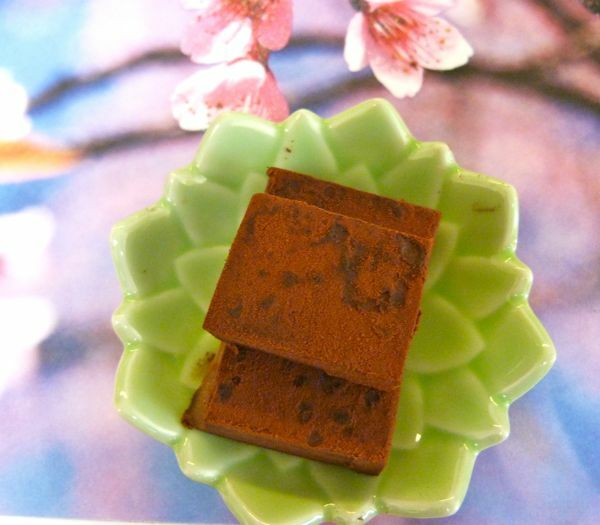 Not every chocolate should be refrigerated, but I believe keeping these cool helped prolong their shelf life. The box came with a special little serving spoon to help in the serving process. 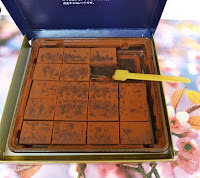 Today was Day #4 of Chocolate and Fruit Theme Week.